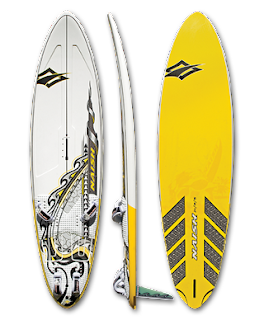 I was looking to all new windsurf equipment on www.windsurfing44.com and was reading the Naish 2011 topic. There is a (big) change because the Stealth is gone!! I remember the stealth always has been a big name, a fast sail, a world speed record sail, FINIAN MAYNARD Now its little brother the Grand Prix will take over as top-of-the-line racesail. 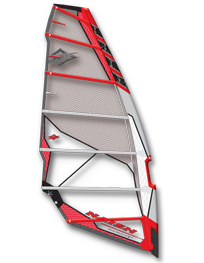 I read the Naish Grand Prix page, I bet this sail will go fast, but my conclusion from the naish page would be the sail is designed to have fun. I think the main target is a big group getting the best performance, and not a sail for only the best ultrafit or strong windsurfers on the planet. It could be the sail works actually quite good for speed for a big group, since it is most likely softer. Hey Erik the sail on the left is the Indy. The Grand Prix has 7 battens. The GP2011 is different to the Stealth2010. 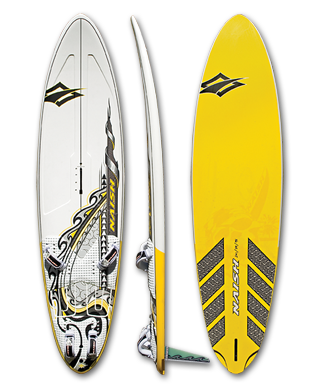 Its much simplier manufacured, but it is a good sail and it is easier to trim than Stealth. I would say that most sailors will find the GP as good as the Stealth. 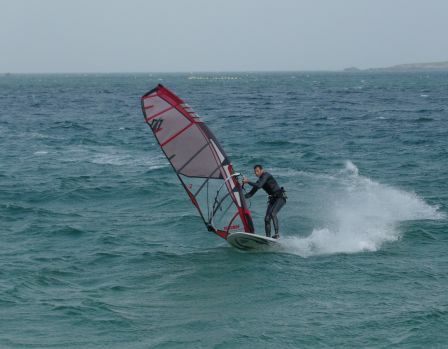 just another nail in the Naish windsurfing legacy!